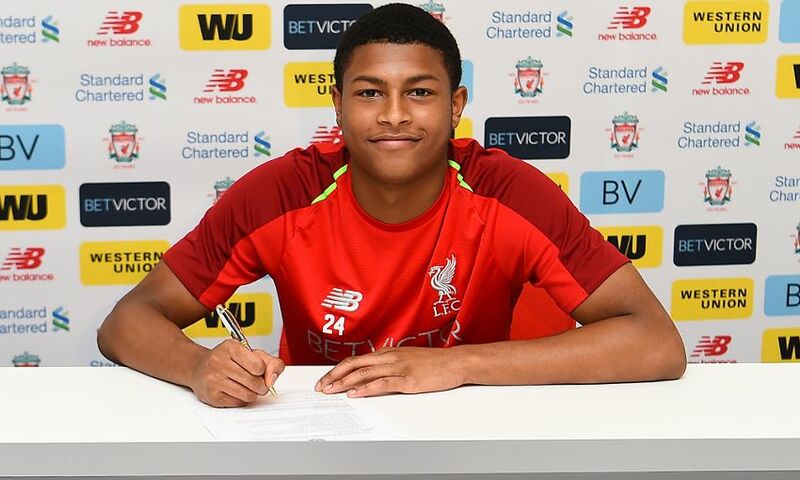 Rhian Brewster has committed his long-term future to Liverpool FC by signing a new deal with the club. The 18-year-old put pen to paper on the contract at Melwood today, where he is continuing rehabilitation from an ankle ligament injury suffered in January. Moments afterwards, Brewster told Liverpoolfc.com: “It feels great. I’ve wanted to do this for a very long time now and I think it’s the right moment for me and my family. I’m looking forward to getting back fit and making some appearances. Brewster quickly progressed through the ranks at Kirkby after joining the Reds’ Academy as a teenager and has starred for the U18s and U23s in recent seasons. The striker’s form was acknowledged by Jürgen Klopp when he was named on the first-team bench for the visit of Crystal Palace to Anfield in April 2017. He top-scored with eight goals at the FIFA U17 World Cup last October, including one in the final, as England achieved a historic triumph at the tournament in India. Brewster will be part of the senior set-up at Melwood for the 2018-19 campaign.